Understanding the different electrical wire colors, their function and how to properly connect them is critical to any home electrical wiring project. Electrical wire is color coded, and knowing the role of the black, white, red, and green or bare wire is a must when replacing an electrical outlet, receptacle or switch. This is a short, but informative video clip from a national television show that I appeared in several years ago. I served as the “electrical expert”. 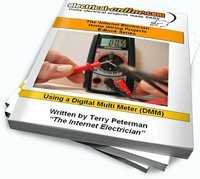 This entry was posted in Wiring-Videos and tagged DIY wiring, electrical, electrical wiring, electrical wiring projects, home electrical, outlet, receptacle, switch, wire, wire color. Bookmark the permalink.